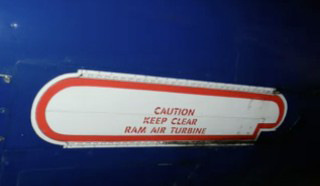 Ram Air Turbines are stowed away behind closed panels during normal flight. When stowed (retracted into fuselage or wing) it is held in position by a lock, and aircraft skin contour is maintained by doors closing over the RAT stowage. The average diameter of a Ram Air Turbine is approximately 80 cm in diameter, whilst RAT on A380 has a diameter of 1.63 meters. 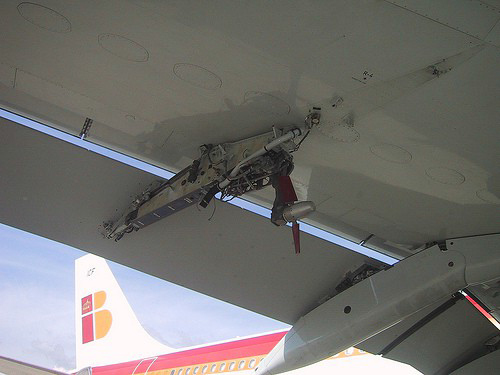 Image shows RAT deployed for maintenance and is stowed in the flap track fairing. The place of stowage can be different from aircraft to aircraft. RAT are generally stowed under the wings, belly, or at sideways of the aircraft.